I am having troubles yet again with the drums. This time with the animations. I am using CAT to author in the drum animations via the playable gems etc. but, but for some reason, the game is not reading the notes at all, and leaves my drummer idling like an idiot, just stiiting there, Anyone know why or what this could be? It must be something in the reaper settings, obivously. I can delete the animations and try having CAT do its thing again, but it just leaves me with the same results. Any ideas? Any help is greatly appreciated! Open up CAT, under "Animation and System" run "Create animation events". 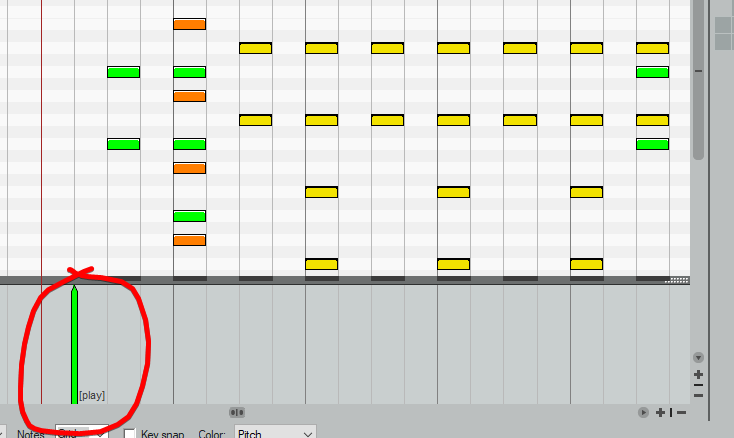 Make sure Drums is selected and hit create markers. You need the [play] text event before the character can actually do anything, regardless if you have any animation notes there or not. Ideally if there's a soft/slow section you'll want to use [mellow] in place of [play] and for fast/intense sections you'll want to use [intense] so the character can animate more properly to the mood of the song. Imma try this! You honestly rock!